This bouquet consist of intense red roses and ferrero kisses. 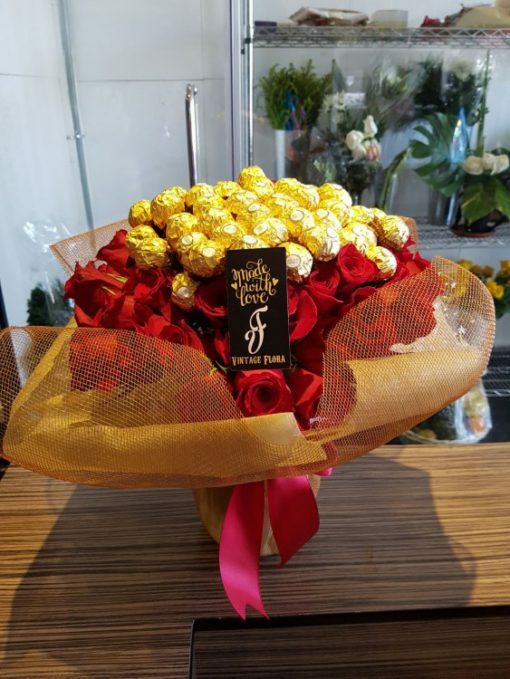 Ideal to express your love with chocolates. Purchase this product now and earn 52 Vintage Rewards!